DISC can be used to perform a wide variety of functions, as we will see later in this section. Of all the technique's possible applications, recruitment is the one that sees most activity. The majority of practical DISC systems are used in this area, and it is a fact that many people see DISC simply as a recruitment tool. So wide is the field of recruitment, in fact, that it is difficult to cover all conceivable uses of DISC within it. 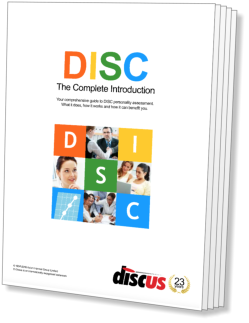 This section looks at four popular and effective recruitment applications of DISC, and examines some of the advantages, and pitfalls, associated with each. It is a fact of life that, especially in times of economic hardship, job vacancies attract large numbers of potential candidates. Application rates can often run into the dozens or even hundreds, far more than can be practically interviewed. Of course, most organisations solve this problem by drawing up a shortlist of the most promising candidates for a post, and interviewing only the members of this list. With so many applications for a single position, however, producing this shortlist can itself be a time-consuming and difficult task. Standard application forms and curricula vitæ rarely convey enough information, in themselves, to make a solid decision about a particular candidate's suitability for a post. It is here that DISC can help. Because DISC results can be produced from a paper questionnaire, it is possible to include such a questionnaire when mailing application forms. The contents of these questionnaires allow a picture of the styles of applicants to be built up relatively quickly. These results can then be compared against a pre-defined 'ideal' profile for the job, expediting the shortlisting process. If a very large number of applications are involved, this is clearly a task more suited to a computerised DISC system, although the technique can also be applied with manual systems. It is important to note that in shortlisting, as in all its applications, DISC is merely a useful aid. To draw up a complete shortlist from styles alone is not practically possible, because DISC has no way of addressing other important issues, such as qualifications and previous experience. Once a shortlist has been completed, and invitations to interview have been despatched, DISC has another important part to play in the recruitment process. This is the point where most commercial DISC users apply their systems - to profile and assess the candidate on their premises before an interview. If a set of results has already been produced through the shortlisting process, it is not generally appropriate to profile the candidate a second time before interviewing them. This is because a second profile created within a few days of the first can affect the results. The exception to this arises where the original questionnaire showed a Compressed Profile, in which case a second can help to establish whether the compressed effect is real, or simply due to a misunderstanding of the technique's requirements. The ultimate use of these DISC results is to aid the interviewer during the interview itself. It can do this in two ways. First, the DISC interpretation of a candidate's profile can bring to the surface potential difficulties that would never emerge in the course of a normal interview. These problem areas can be probed by the interviewer to assess their relevance with reference to the job in question. Almost all DISC systems can generate a list of disadvantages of this kind, but some of the more advanced, automated, systems are able to go one step further and generate a list of problem areas relative to a specific job. Second, DISC can help to improve communication within the interview. This is a more subtle and less tangible benefit, but it can have a significant impact on the progress of the discussion. By making themselves aware of an interviewee's motivating factors, the skilful interviewer can encourage them to reveal information, and help to relieve the understandable pressure of an interview situation and so ease communication. Some interviewers actually discuss a candidate's DISC report with them during the interview, while others prefer to use the information as a basis for their own questions. Neither of these approaches is significantly better or worse than the other; ultimately a decision about whether to use the DISC report directly in the interview is a matter for the interviewer's own preference. A little-used approach, but one that is growing in popularity, is the application of DISC to ease rejection of unsuitable candidates. Some organisations now include a DISC report with rejection letters, giving the candidate a clear idea of the reasons for their rejection, and also offering them some guidance in the further development of their career. This positive approach can not only help relieve the disappointment of unsuitable candidates, but also improve the general perception of the organisation.